GEORGE TSUNIS REAL ESTATE, INC.
"SYNONYMOUS WITH COMMERCIAL REAL ESTATE ON LONG ISLAND." George Tsunis Real Estate, Inc. has been in the real estate business on Long Island since 1991. We have represented many nationally recognized firms, and you can rely on us to work tirelessly for you. Whether our clients need 1,000 Sq. Ft. or 1 Million Sq. Ft., we treat them with the same respect and dedication they deserve. George Tsunis Real Estate we prove that everyday!" 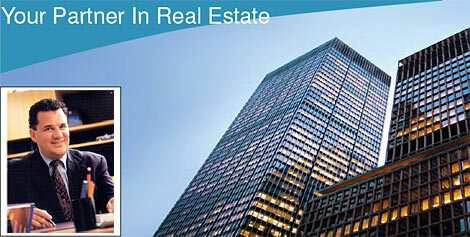 George Tsunis Real Estate, Inc. has become synonymous with commercial real estate on Long Island. Our in-depth knowledge of the Long Island marketplace, and our dedication to superior service, are key reasons our clients rely on us to handle their real estate transaction quickly, efficiently, and in their best interest. of a business more profoundly than a sale or a lease." Give us a call to discuss what we can do for you!